NECROPANTHER: Kerrang! Streams Oppression From Colorado Metal Practitioners; EP Out NOW! “Oppression’s distinct combination of death metal’s technicality and thrash metal’s go-for-the-throat speed is delicious to listen to and will have fans of both of those genres headbanging along in approval.” — Kerrang! 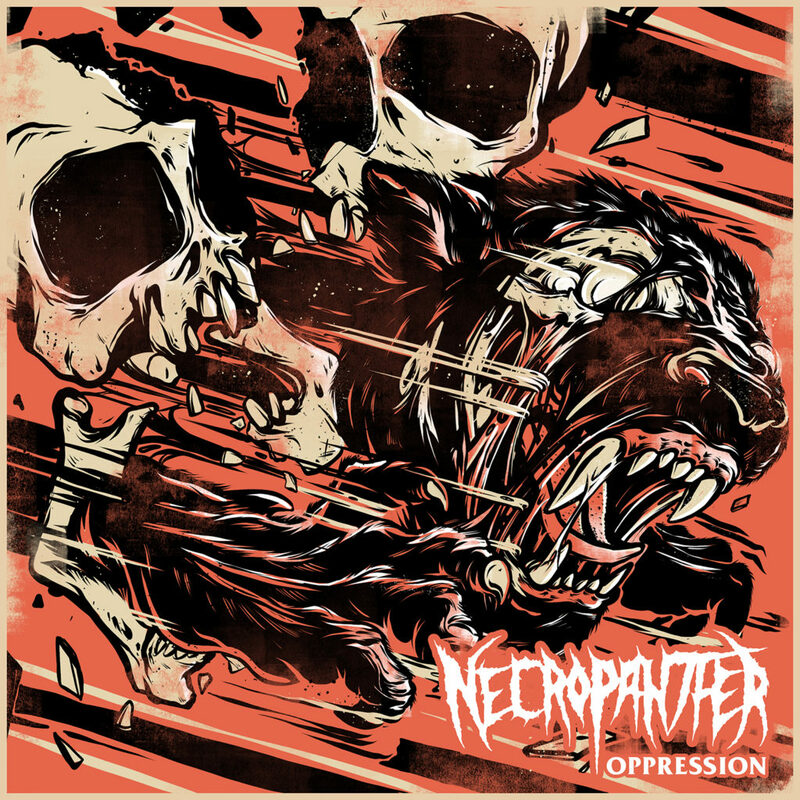 Oppression is the latest EP from Colorado-based metal unit NECROPANTHER. Written entirely by newest member, bassist Marcus Corich, Oppression was recorded, mixed, and mastered by the band’s Paul Anop and Joe Johnson, and is the band’s first-ever EP. The story of an artist interned in a forced labor camp so that the state can stifle his art, the songs on Oppression reflect the confusion, violence, and dread of institutional abuses, presented in a melodic death metal style. ​Oppression depicts political failure and the claustrophobia of a world without privacy, refuge, or self-expression. Stream Oppression now at THIS LOCATION. Order Oppression at the official NECROPANTHER Bandcamp page at THIS LOCATION. 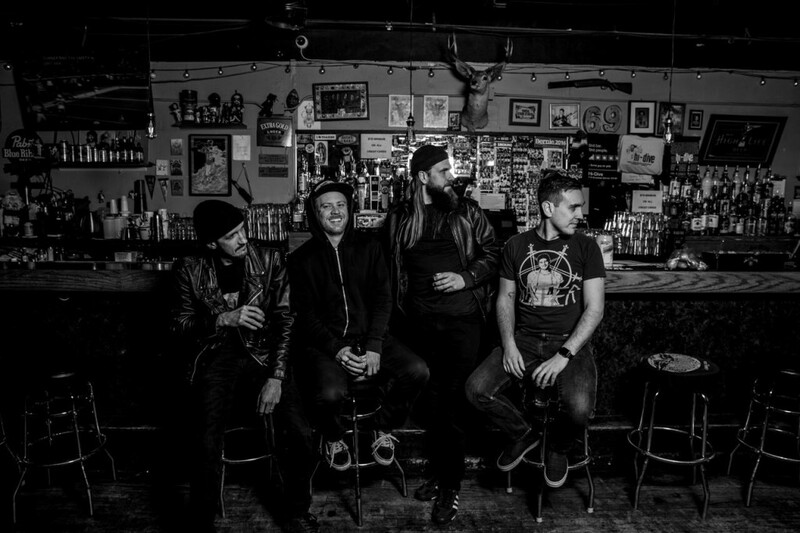 NECROPANTHER was formed in 2014 with the simple goal of creating heavy music and playing shows that thrill audiences. The band is lead singer and guitarist Paul Anop, lead guitarist Joe Johnson, drummer Haakon Sjogren and bassist Marcus Corich. NECROPANTHER has extensive experience performing and touring. Haakon Sjogren and Marcus Corich were founding members of Havok and also played together in Colorado metal project Moore. Sjogren has also handled drums for Colorado bands Frozen Eternity and Circaic. In addition to his bass playing, Corich is also an accomplished skater and has performed at the Van’s Warped Tour and other high-profile events. Anop was in Kansas powerhouse Spirit Of The Stairs as well as The Empress and Whalefalls while Johnson also played in Moore, as well as the metal fusion project Wild Game. Prior to moving to Colorado, he played and toured with the Philadelphia-based power metal band Shadowdance and NWOBHM band Wastoid and has also appeared in a video for the famed shredder The Great Kat.